TECNO PHANTOM 5 REVAMP YOUR STATUS PROMO. 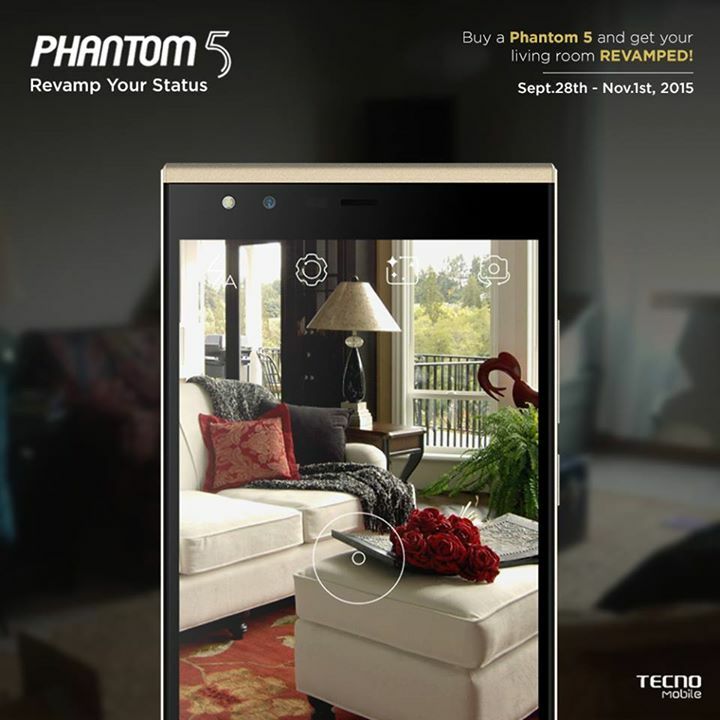 BUY A TECNO PHANTOM 5 AND GET YOUR LIVING ROOM REVAMPED. All you have to do is buy a Phantom 5, and this amazing offer could be yours. 1. Buy the New TECNO Phantom 5. 2. Pick up a raffle ticket. 3. Fill in your details to enter into the raffle draw. Promo runs from September 28th to November 1st, 2015.